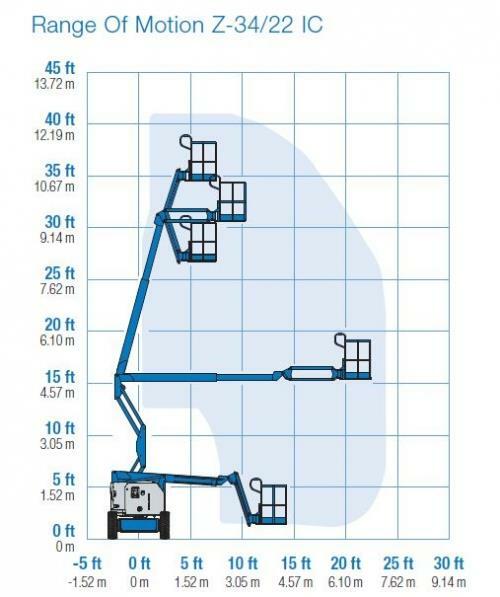 GENIE Z-34/22N : 34' PLATFORM HGT. = 40' REACH; 22' OUTREACH @ 15' HGT. 58" WIDE ; 18'7" LENGTH; 6'7" HEIGHT; PLATFORM 56" x 30" ; 500 LB.CAP. ... DO NOT RAISE BOOM UNLESS LIFT IS ON LEVEL GROUND.!!!!!! 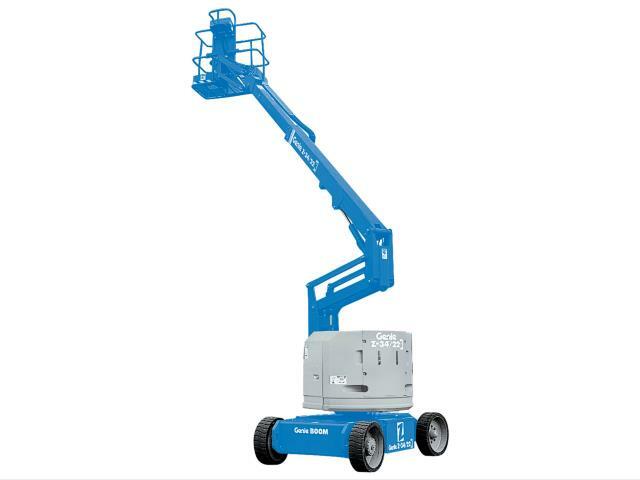 * Please call us for any questions on our boom 34 foot up/ 22 foot over rentals in Cincinnati Ohio.